Matt joined TexAgs in the spring of 2018. 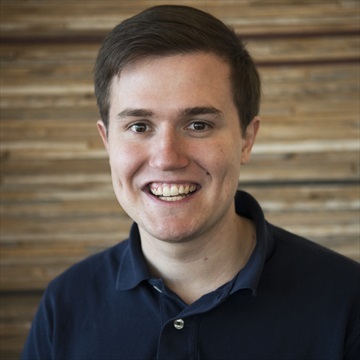 He is a senior Journalism major with a minor in communication and sports management and is from Grapevine. Matt enjoys watching sports, photography, video games and hanging out with friends. After graduation, he hopes to work for a daily newspaper covering sports and transition into broadcasting. 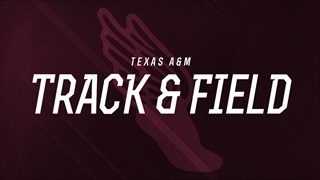 Both Aggie track and field teams finished their respective seasons in Eugene, Oregon, at the NCAA championships. The men scored 29 points to finish in seventh place, while the women racked up 15 points to finish in 19th place. 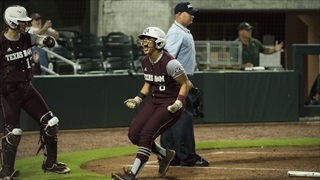 Tori Vidales put the Aggies ahead with a two-out, two-strike home run in the top of the seventh, but Florida responded with a three-run walk-off home run in the bottom of the inning to advance to the Women's College World Series and end A&M's season. 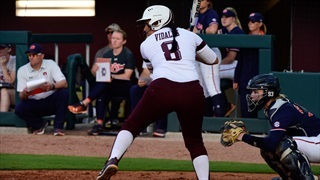 Tori Vidales kept Texas A&M's season alive on Friday with a three-run home run, pushing the Aggies to victory over Florida. With the win, A&M forces a third game in the Gainesville Super Regional. 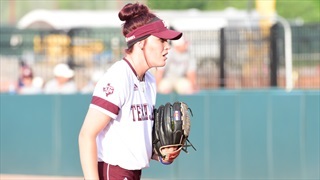 Texas A&M played well and led Florida for six innings on Thursday night in game one of the Gainesville Super Regional but two errors and a rash of walks in the bottom of the seventh doomed the Aggies. 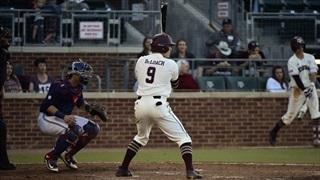 Texas A&M completed its perfect run through the College Station regional on Sunday evening with a win over the Baylor Bears. 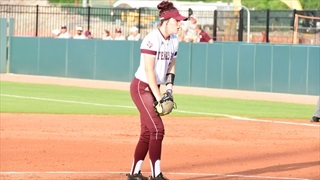 After trading blows with the Bears to start the game, the Aggies exploded for seven runs in the fifth inning to put the game away. Texas A&M dominated at the plate on Saturday, topping McNeese State to reach the College Station regional final. 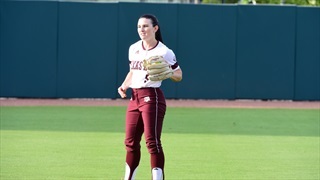 Three Aggies finished the day with multiple hits, while Lexi Smith and Trinity Harrington shut down the McNeese bats. 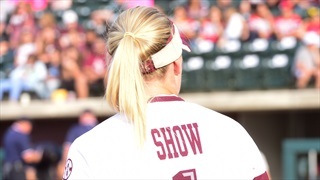 Texas A&M Softball opened the College Station regional with an easy win over Prairie View A&M on Friday. 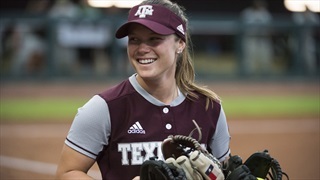 Samantha Show dominated on the mound, pitching a one-hit shutout, while the Aggie offense had no trouble with the Panthers. No. 18 Alabama won the first two games of the series and then completed the sweep in walk-off fashion when Demi Turner hit an RBI single up the middle in the eighth inning. 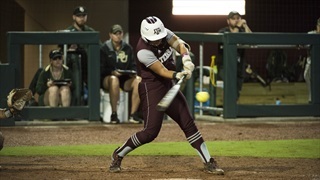 Tori Vidales homered to send the game to extra innings, but A&M fell short of a victory. Texas A&M struggled once again against the top-ranked Gators in game two of its weekend series, falling 6-1. Despite a solid performance, Aggie starter John Doxakis issued too many free bases, allowing Florida to pull away. Alabama scored first and never looked back as the Crimson Tide scored six runs in 4.2 innings against Trinity Harrington. Payton McBride kept the Aggies in the game with 2.1 scoreless innings in relief of Harrington. 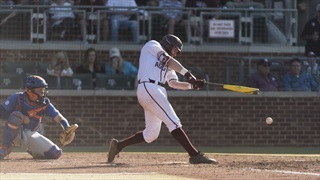 Texas A&M scored six runs in the first, four in the second and six more in the fourth to cruise to an easy victory over visiting Prairie View A&M. Eight pitchers combined to throw nine innings without allowing an earned run as the Aggies prepare for their upcoming home series with Florida. 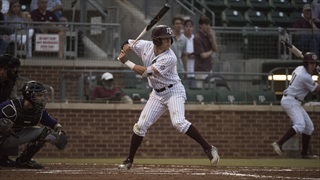 Coming off a series win over Mississippi State, the Aggies return home for a midweek contest against Prairie View A&M. Follow along as Matt Koper provides live updates of the action from Blue Bell Park.